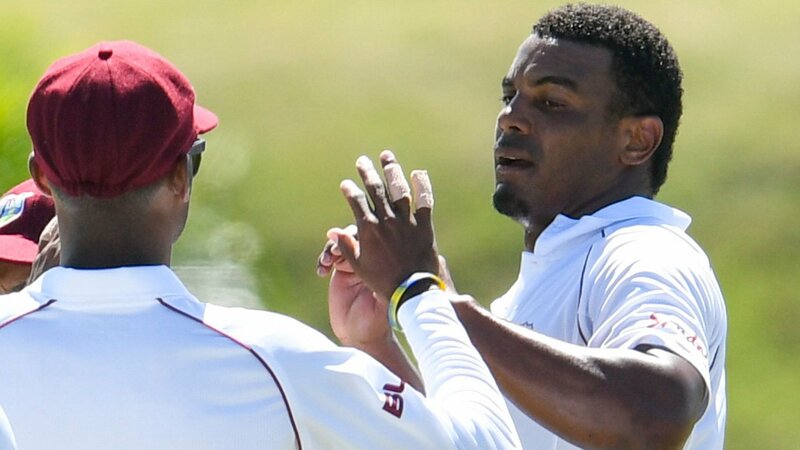 West Indies fast bowler Shannon Gabriel was warned by the umpires for the language he used following an incident with England captain Joe Root. Root scored 111 not out as England built a lead of 448 in the third Test. England understand no further action is being taken and the matter is closed. “You’re playing Test cricket, people will look at this game as a dead rubber but it certainly doesn’t feel like that when you’re playing for your country – everything counts, every opportunity counts,” said Root after the close of day three. “You can see that in the way he approaches the game and that’s how I feel about it as well. “Sometimes things are said on the field but they should stay on the field. I think they can sometimes be caught in the moment and not always say what you want to say or think you’re saying. West Indies coach Richard Pybus said nothing had been reported but if anything untoward was said it will be reviewed and addressed. “I think the fast bowlers are always going to try and impose themselves on the game,” he added. “It’s always a proper tussle out there. I think it is pretty standard. “The series has been played in exceptional spirit, I wouldn’t want to pre-empt anything. Heavy defeats saw England lose the first two Tests of the three-match series but Root’s unbeaten 111 in St Lucia to see his side close on 325-4 for a commanding lead of 448. The tourists batted throughout the third day with Joe Denly making 69 and Jos Buttler 56. England are likely to declare on day four and attempt to bowl out West Indies to earn a consolation victory. Reality Check: Are public health campaigns working?